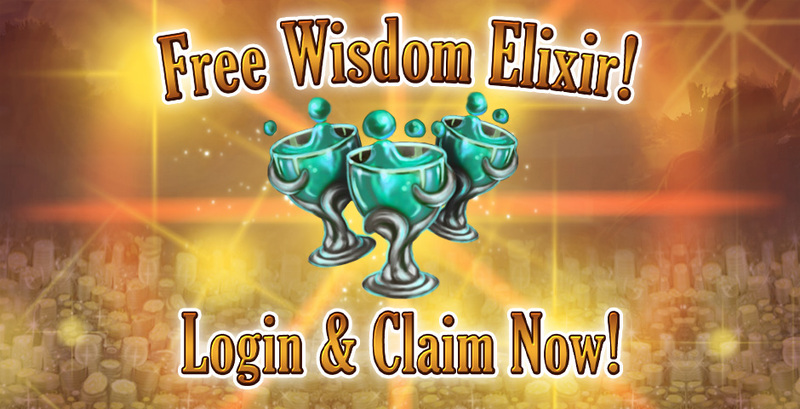 Log in between the 22nd-24th of AUGUST and claim your FREE Super Wisdom Elixir for that extra Wisdom boost. Ready yourselves Heroes! Login to claim yours! Re: Wiser & Wiser Giveaway! Pathrider wrote: Useless but thanks ..
Then I hope you allready maxed out your abilities abilities are far from useless! The lower lvls will be happy they can train their lower abillitys. I needed some of these; thanks!